It was only a matter of time before a lighting manufacture brought LEDs to the freshwater aquarium scene. 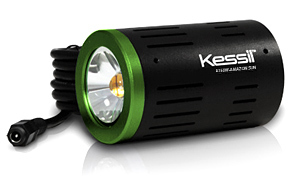 Kessil has released a LED pendant light that is design to mimic the “Amazon Sun” producing light at a natural 6700K. 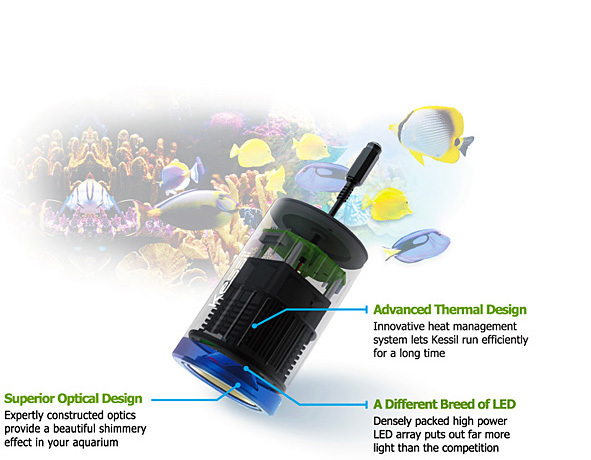 The light is design to nourish plants and fish while illuminating the aquarium. The Amazon Sun 150W draws 36W or power using an innovative heat management system. In the patented Dense Matrix LED™ platform, Kessil mixes light of different wavelengths to produce intense, powerful, and spectrum-specific light that is delivered with precision. It is important to note that the 6700k color temperature is for reference only, and is not a direct measurement of CCT. To find more information and retailers near you, visit www.kessil.com.